An invitation suite that was made just for you, by someone who listened to and analyzed what you truly wanted. All artwork and calligraphy created by hand, for your invitations only. And that feeling you get when you see it - that it's so perfectly you and you want to frame it forever? That's my goal. Let's do this thing, now. Click on the images below to get a closer look at what I’ve created for other clients! 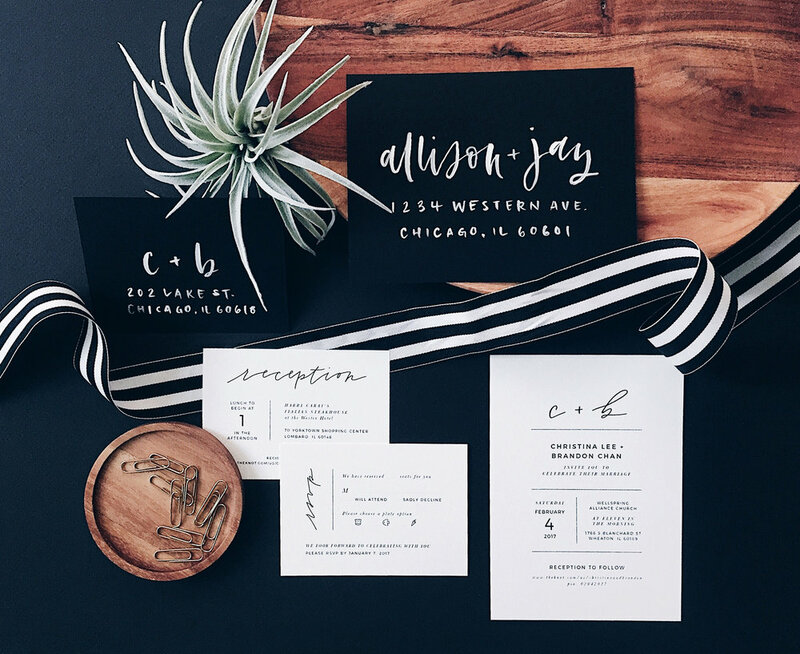 I am so excited to have the chance to design your custom stationery to highlight your personalities and love story! After you fill out the form, I'll get in touch to figure out the best time to chat. I find that a phone conversation is the best way to get to know you and more about what you're looking for! After our conversation, you'll receive a customized proposal. I am a full-service stationery designer, so I am pleased to work with you from initial concept to final printed product. The process can take anywhere from 6-8 weeks typically, depending on availability and how quickly you approve your sketches and designs! For a closer look at the design process and some FAQ, click below! 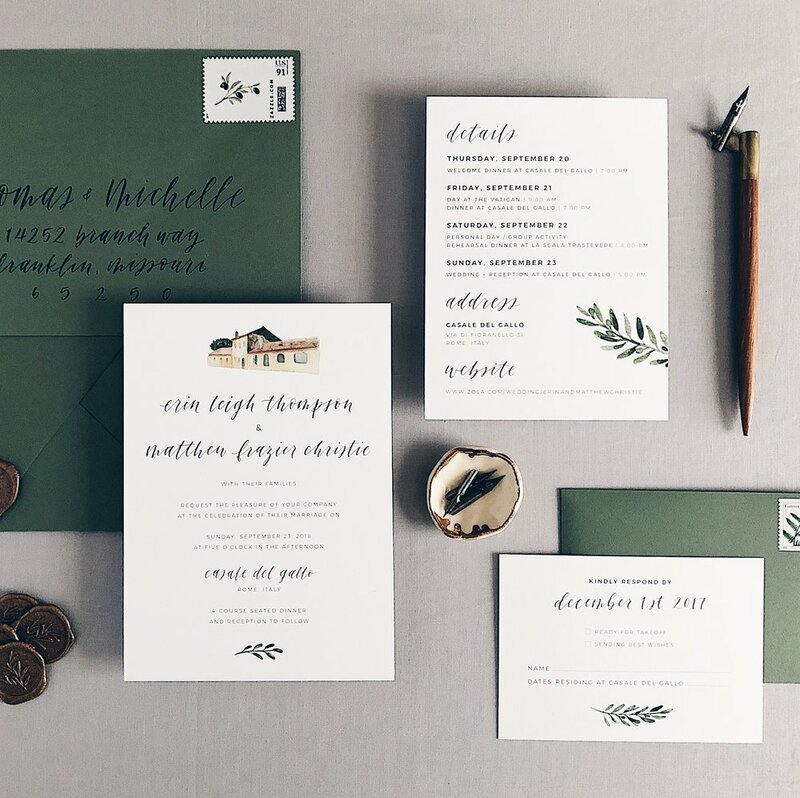 I tend to work with style-loving couples who are looking to invest in their stationery and make an impression on their guests. The average couple who hires me allots about 5% of their total budget for wedding stationery. However, each situation is different, so if you're not quite in that range, let's chat and see what your options are!